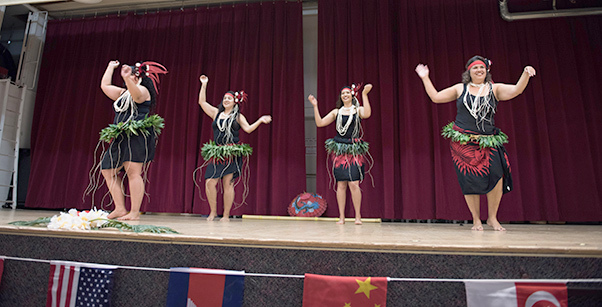 Traditional dances and music performances accompanied Far East and Pacific foods at the Asian Pacific American Heritage Month Culture Show and Food Tasting event at Stripes Lounge May 24, 2017. 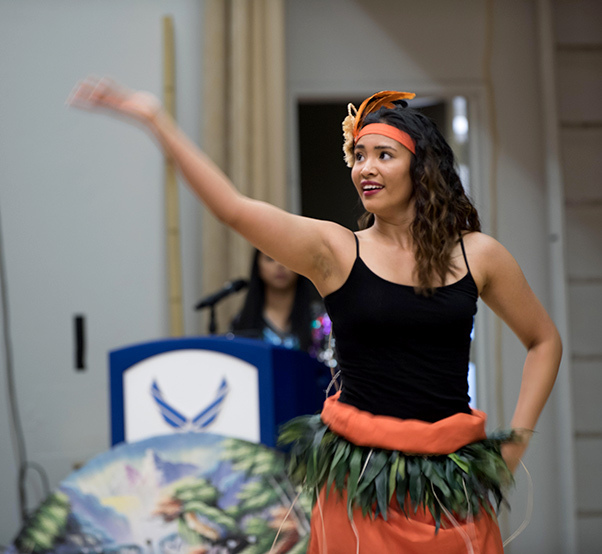 The event was the finale of the month at Edwards Air Force Base, Calif.
People from across the Edwards Air Force Base, Calif., descended on Stripes Lounge May 24 for the finale of Asian Pacific American Heritage Month. Traditional foods from the Far East and the Pacific were plentiful along with several cultural performances featuring dancing and music. 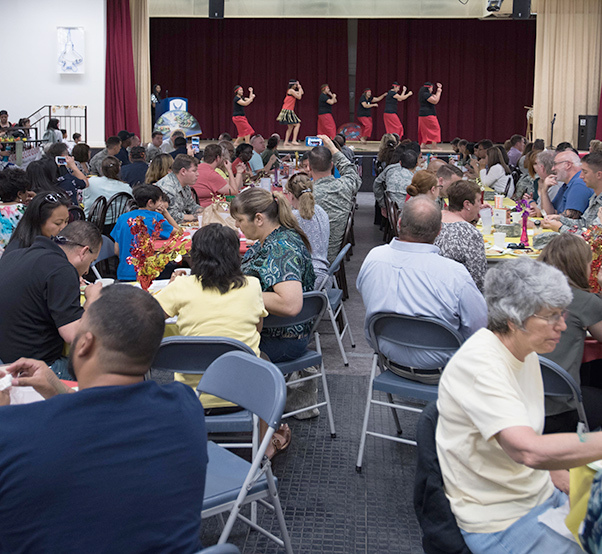 Stripes Lounge at the Oasis Community Center was packed May 24, 2017, for the Asian Pacific American Heritage Month Culture Show and Food Tasting. 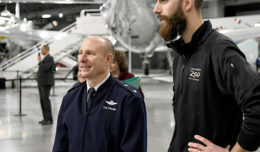 At Edwards, the month was observed with a series of events presented by the 412th Test Wing and NASA’s Armstrong Flight Research Center. 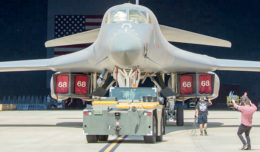 The events celebrated the cultural traditions, ancestry, native languages and unique experiences represented among more than 56 ethnic groups from Asia and the Pacific Islands who live in the United States. 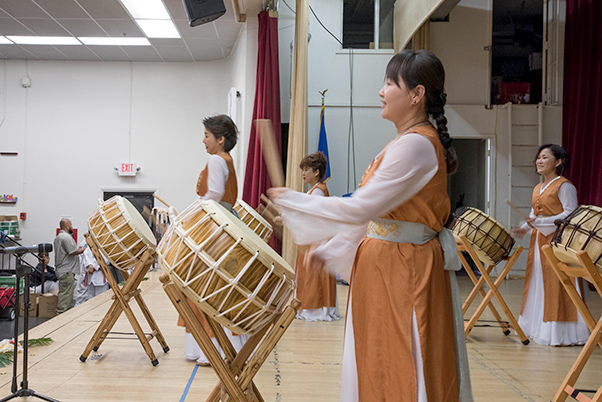 Traditional dances and music performances accompanied Far East and Pacific foods at the Asian Pacific American Heritage Month Culture Show and Food Tasting event at Stripes Lounge May 24, 2017.